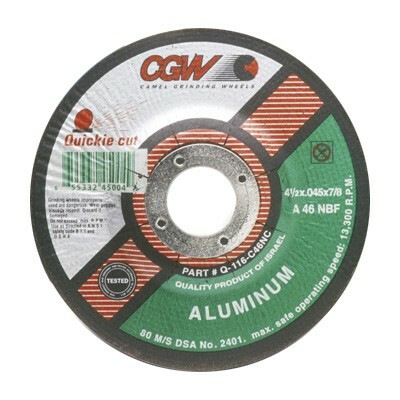 Aluminum Oxide (A24N,A24R)/White Aluminum Oxide (WA24S)/Zirconia Aluminum Oxide (ZA24T); see details on specs below. 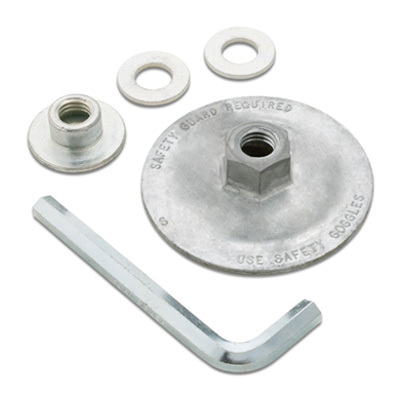 Complete product description for 4″ wheel (ZA24T only, while supplies last) here and here. Complete product description for 4 1/2″ wheels: ZA24T here and here; WA24S here and here ; A24N here and here ; A24R here and here. Complete product description for 5″ wheels: ZA24T here and here; WA24S here and here ; A24N here and here ; A24R here and here. Complete product description for 6″ wheels: ZA24T here and here; WA24S here and here ; A24N here and here ; A24R here and here. Complete product description for 7″ wheels: ZA24T here and here; WA24S here and here ; A24N here and here ; A24R here and here. Complete product description for 9″ wheels: ZA24T here and here; WA24S here and here ; A24N here and here ; A24R here and here. A24N: N-grade bond for fast stock removal; for metal and stainless. 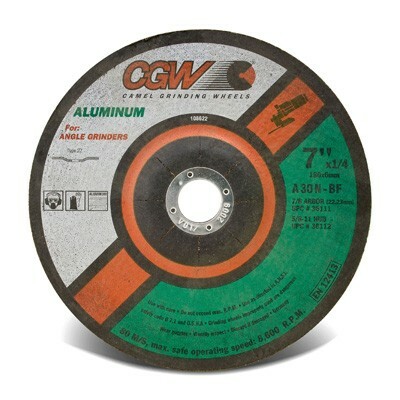 A24R: #1 selling 1/4″ depressed center grinding wheel; R-grade bond for long life and excellent stock removal. 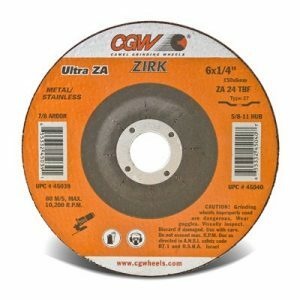 ZA24T: Zirconia grain is sharper, cuts faster, and lasts longer than aluminum oxide. 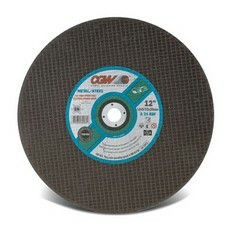 T-grade bond for fast cutting and long life; recommended for steel, cast iron, stainless steel. WA24S: Contaminate-free design for fast cutting of stainless steel, ferrous metals, food grade, and nuclear applications. -grade bond. Less than 0.1% iron sulfur or chlorine for rust and corrosion free results.